This Wednesday night, Chelsea welcome Bournemouth to Stamford Bridge for a Carabao Cup quarter-final tie. With just eight teams left in the competition, there are no easy ties and both sides will be keen to pursue a place in the semi-finals and move a step closer to the first domestic cup final, at Wembley, of the season. 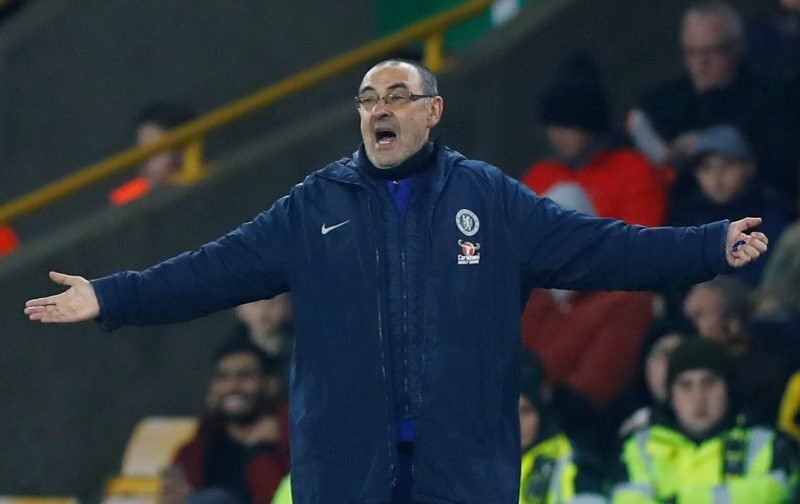 The Chelsea support will be hoping that it is the Blues who progress but it could all decide on the starting eleven that Maurizio Sarri selects. The Italian has heavily rotated his squad in this competition this season and it remains to be seen whether that is the case on Wednesday night. One player who must be rated as doubtful, who was seen, at Brighton, with his injured ankle surrounded by ice. As is the norm, we’re running our usual feature whereby we invite you to second guess Maurizio Sarri and name the starting eleven he will opt for. Let’s see who will get the closest or, indeed, get it spot on. Simply drop your predicted starting eleven in the comment facility beneath this article. Willy Caballero , Ethan Ampadu , Andreas Christensen , David Zappacosta , Emerson , Cesc Fabregas , Ruben Looftus Cheek , Ross Barkley , Callum Hudson Odoi , Willian , Olivier Giroud.